The sunny southern Californian city of Los Angeles offers much more than warm weather and sandy beaches. Although that doesn’t exactly hurt its reputation, Los Angeles is a cultural filled city with some of the best art and music on exhibit. It also has great theme parks and sporting events, so L.A. is a great place to visit no matter what you are looking for. The nice thing about Los Angeles is that you have the option of either staying in a metropolitan area or right on the beach, such as in the area of Venice. The best thing is to consider different types of accommodations provided by some sites such as venere.com. Depending on the period of the year there are special offers here and you can save some money on a trip to Los Angeles. Once you have found accommodations in the city your first stop could be one of the many museums. 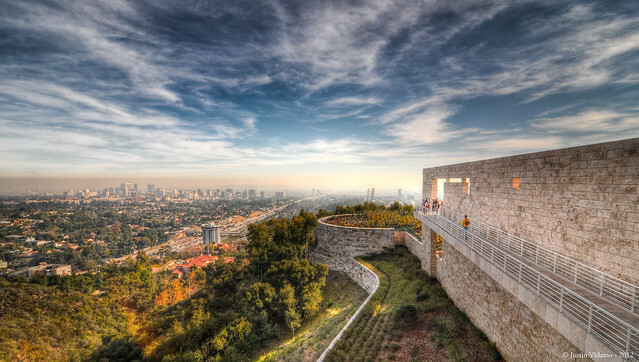 The Los Angeles County Museum of Art has some of the finest exhibits in the United States let alone L.A. From an exhibit on abstract classicists to African art, this museum is a great place to start. A wonderful free museum is the Getty Villa in Malibu, modeled after the remains of a Roman villa in Herculaneum. It hosts pieces of art and magnificent pieces from antiquity, making it a unique experience for any visitor. It also offers amazing views over the city. With more museums than any other city in America, Los Angeles is certainly not an un-cultured place. The music scene in L.A. is simply unbelievable. A place where many bands and artists look to jumpstart their careers, this city has plenty of live entertainment on show for any taste or preference. The Skirball Cultural Center has an art gallery and also hosts a number of free summer concerts where you can listen to great music under the stars. Or for a more authentic Sunset Strip experience, head over to the House of Blues which always has a great band or artist headlining on any given night. The truth is you can just stumble upon any great museum or music act all over Los Angeles, making any visit worthwhile. Finally comes Universal Studios Hollywood, one of the best theme parks in the U.S. and a must see for any movie buff. You can ride a number of thrilling roller coasters or go to the sets where some of the biggest blockbuster movies were filmed. Nearby you can obviously spot the famous Hollywood sign, which surprisingly has a number of great hiking trails surrounding it! Los Angeles is known for its post card image of sun and sand, but really does offer a great cultural experience for any traveler. These are just some highlights of this unique state. Wherever you choose to visit, California will leave a special place in your heart.